or glass pie dish or baking dish. 2. For the Filling: In a large bowl, stir together the rhubarb, strawberries and sugar until well mixed. Pour into the baking dish, and set aside. 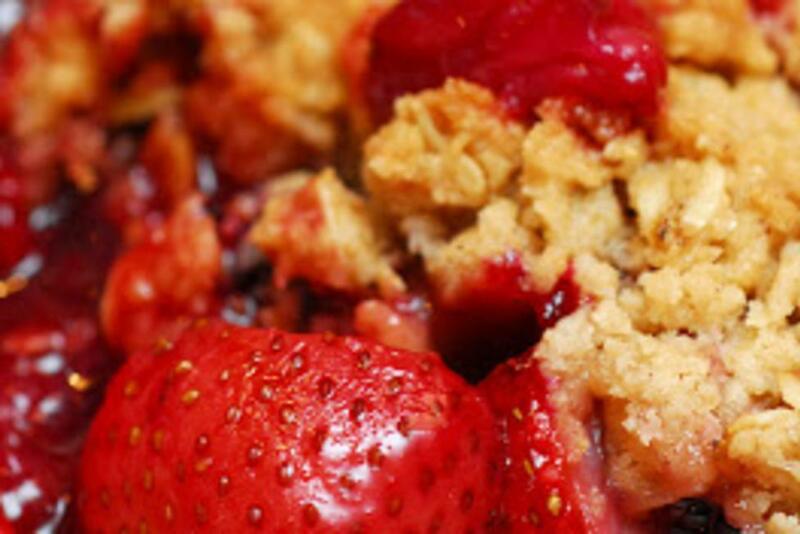 Rhubarb can be left out for a simple strawberry crisp. The crisp can be cooled, covered with plastic wrap and stored at room temperature for up to 2 days. Rewarm in a 250-degree F oven for 15 minutes before serving. Preferably with a substantial scoop of vanilla ice cream.